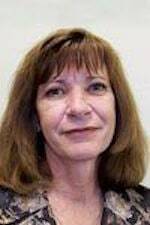 Patricia K. Caphton is a Paralegal/Firm Administrator for the law offices of KALIS, KLEIMAN & WOLFE. She joined the firm in 1988 and is assigned to our Treasure Coast Office in Fort Pierce, Florida. Caphton was born in Sanford, Florida and has an AS Degree in Paralegal Studies. She is an active member of the Women’s Council of Realtors.